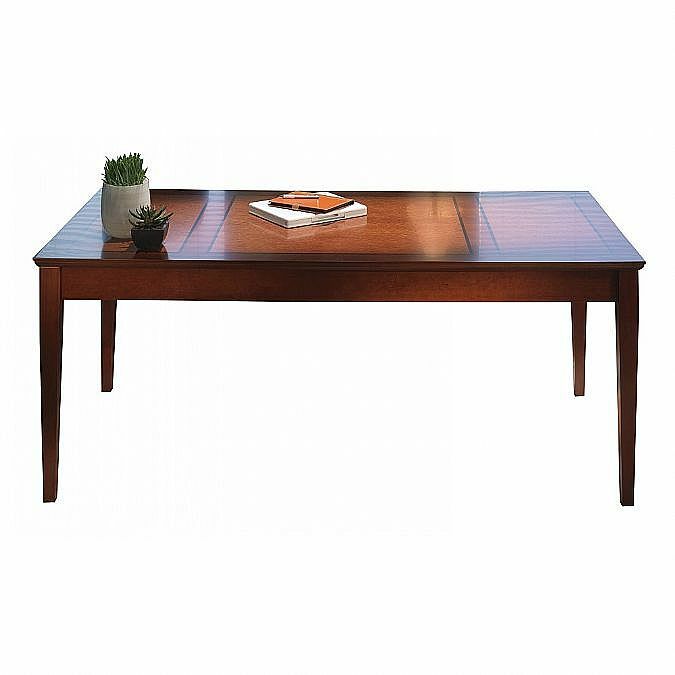 Sorrento Table Desk features a wood veneer work surface with tapered hardwood legs, and a flip-down leather-lined center drawer that can be used as a keyboard drawer. 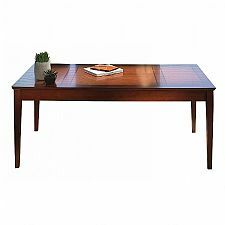 Choice of Espresso finish on Walnut veneer or rich Bourbon Cherry finish with bird's eye maple inlays. 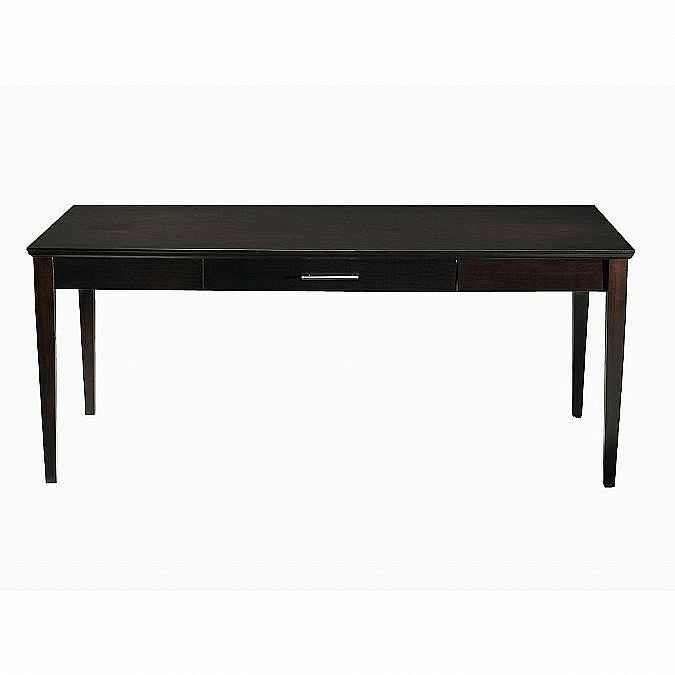 The Sorrento table desk provides a classic yet contemporary style for small offices. 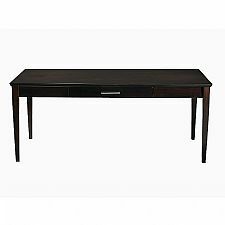 It features a wood veneer work surface with tapered hardwood legs, and a flip-down leather-lined center drawer that can be used as a keyboard drawer. 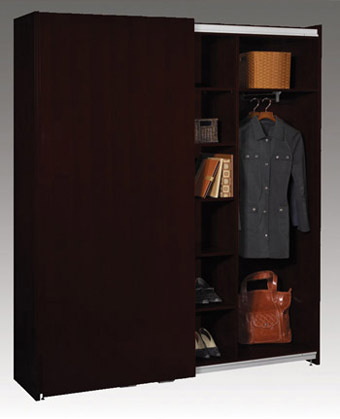 Add a low wall cabinet, credenza with file drawers or a Signature Storage Center to house files, binders, office supplies and personal effects. 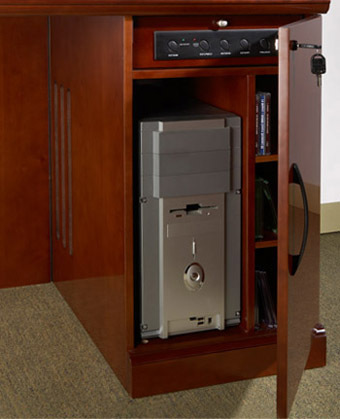 This configuration enhances the aesthetic of your workspace as well as your flexibility for rapid growth when moving to larger offices. 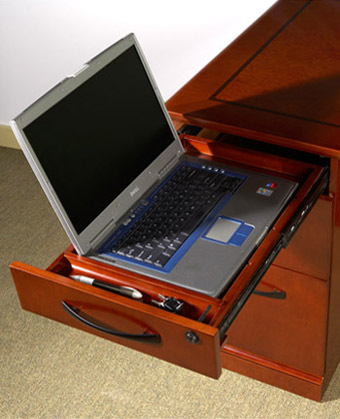 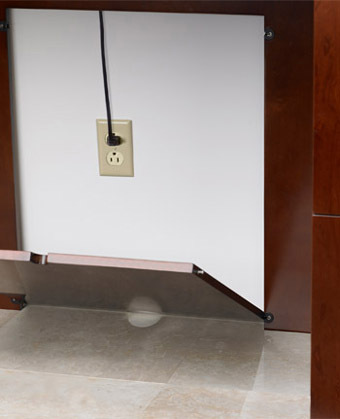 Flip-down leather-lined center drawer that can be used as a keyboard drawer.